Earlier this year, the Environmental Protection Agency put out a notice that appeared to strike fear in the agricultural pesticide industry, or the crop-protection industry, as they like to call themselves. In July, the EPA announced its plans to review the carcinogenic potential of glyphosate, the the most-used pesticide in the world and primary ingredient in Monsanto's Roundup. Reviewing glyphosate's cancer-causing potential would be the responsibility of nearly a dozen scientists handpicked by the EPA, including Dr. Peter Infante, an epidemiologist, environmental health researcher, and consultant who spent over two decades working for the federal government in the Occupational Safety and Health Administration. While federal regulators praised Infante for his role in determining the cancer-causing potential of toxic chemicals, the pesticide industry was singing a different tune. 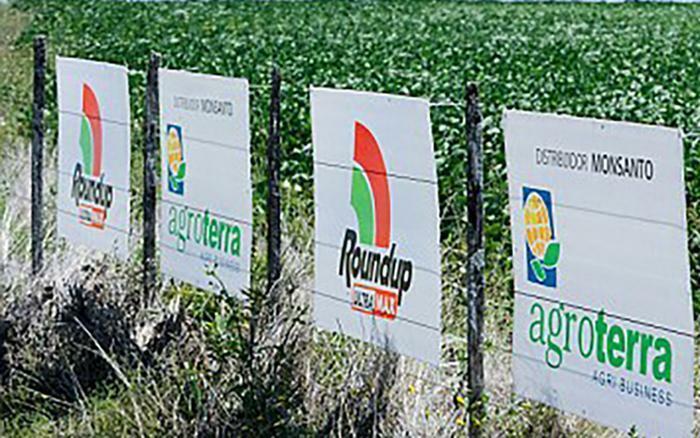 CropLifeAmerica is the trade group that represents Monsanto and other pesticide-makers. It describes its members in rosier terms, as "distributors of crop protection chemicals and plant science solutions for agriculture and pest management in the United States." In October, CropLifeAmerica wrote a letter to the EPA, publicly complaining about Infante's inclusion on the panel evaluating glyphosate. In the past, Infante "has taken radical anti-pesticide positions," the members wrote, and has also testified as an expert witness in lawsuits against Monsanto, which they argued caused him to be biased. Among the other concerns they list about Infante are his apparent distrust of industry-funded studies, the type of research that the pesticide industry naturally sees no problem with. According to CropLifeAmerica's letter, Infante once made the following statement in open court: “How does industry find scientists to do this kind of task? It buys them, that’s all! Let’s be clear—it’s what I call ‘prostituted science.'" It is probably to be expected that the pesticide industry does not appreciate its industry-funded researchers being referred to as prostitutes. But what took some food safety advocates by surprise was the EPA's reaction to CropLifeAmerica's demands. Several days before the planned October 18 date the panel was scheduled to convene, the EPA delayed its review of glyphosate. Now, the panel is scheduled to meet in mid-December, two months later than originally planned. And according to a list of experts provided by the EPA, Infante is no longer one of the researchers who will review glyphosate’s cancer-causing potential. “This is outrageous. The industry wants to say that our own government scientists, the top ones in their fields, aren’t good enough for these panels,” Michael Hansen, senior staff scientist at the Consumers Union, said in a statement last month to the Huffington Post. In response to an interview request, EPA spokesman Cathy Milbourn sent ConsumerAffairs an online statement, in which the EPA blamed scheduling issues and experts' availability for delaying the panel. Milbourn would not comment on the new list of researchers, in which Infante is no longer included. "EPA does not comment on personnel matters," Milbourn said via email. Infante has not returned messages, but he defended his credentials and his work in a public letter that he fired back to the EPA in response to CropLifeAmerica. Infante acknowledged that he has testified in cases in which Monsanto was a defendant, but he said all of those cases concerned the chemical vinyl chloride (VC), not glyphosate. "I was asked to opine whether there was a connection between VC and these rare liver cancers. My testimony was not for or 'against Monsanto,'" Infante wrote. "I have no special interest in regard to glyphosate. I have not been involved in any litigation involving glyphosate nor have I formed any opinion on this issue....I have also not worked on behalf of industry regarding glyphosate." CropLife additionally criticizes Portier for being the sibling of Christopher Portier, the Associate Director of the National Institute of Environmental Health Sciences, and a supposed "noted and vehement antiglyphosate activist," according to the pesticide trade group. While CropLife America apparently has no concerns that industry funding may cause a bias among researchers, they are concerned that being a sibling to Christopher Portier could cause a problem. "CLA requests that EPA confirm that his brother’s views will not affect Dr. Portier’s ability to evaluate the relevant evidence objectively and that he has not already formed a conclusion regarding the carcinogenicity of glyphosate," the trade group’s letter says. Dr. Kenneth Portier is still included on the upcoming panel, and he directed an interview request back to the EPA.